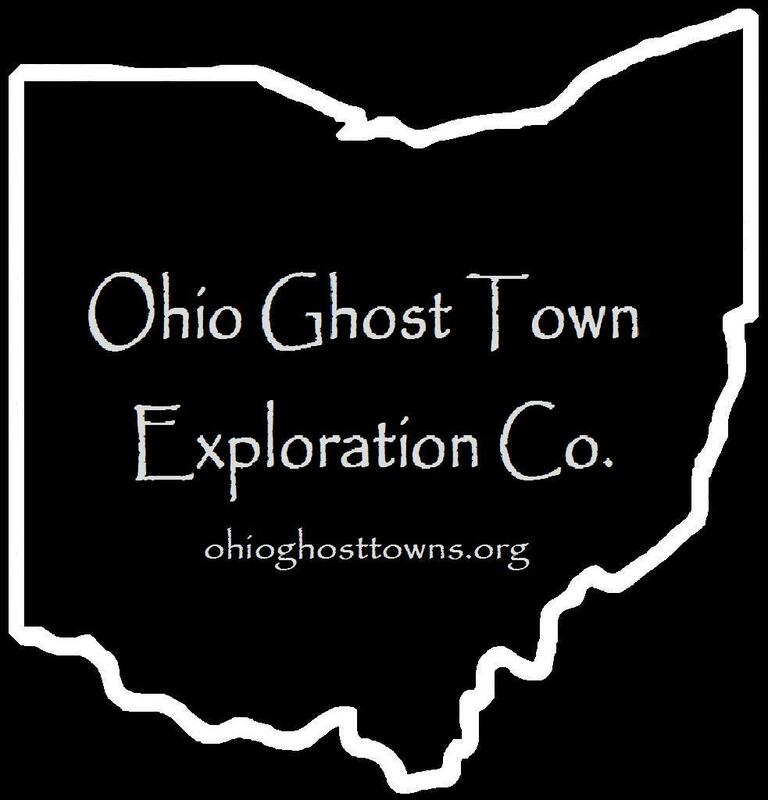 Seneca County – Ohio Ghost Town Exploration Co. Description: It was platted in 1846 by Daniel Kistler (d. 1858). The current Zion Lutheran Church was built in 1885 & the town also had a school & Evangelical Lutheran church on land donated by Joseph Neikirk (1806 – 1887) from Maryland & Barbara (Noel) Neikirk (1804 – 1869) from Pennsylvania. Daniel was buried with relatives in Adams Lutheran Cemetery & the Neikirks were buried with relatives in Block Cemetery. As Adamsville faded away into history, Cooper (Cooperstown) sprang up barely south of the location. Description: The town had a school & cooper shop. The post office was on the north side of E Township Rd 178 between CR 21 & Township Line Rd. Description: It was listed in The Ohio Gazetteer And Traveler’s Guide in 1841 as 18 miles from Tiffin, 4 & 1/2 miles from Bellevue, & 9 from Republic. Description: The town was founded by Dr. James Fisher (1801 – 1888) & Elizabeth (Boyer) Fisher (d. 1878) who moved to Ohio from Maryland in 1832. It was named after Elizabeth & had a saloon, wagon shop, & blacksmith shop. The Fishers moved to Missouri & were buried in Maple Park Cemetery in Springfield. Description: It was listed in the 1853 W.W. Reilly & Co.’s Ohio State Business Directory. Description: Hedgetown was founded by Josiah Hedges (1778 – 1858) & Eliza (Hammerly) Hedges who moved to Ohio from Virginia in 1820. The town had a church, school, saw mill, & a grist mill. Josiah also served in the state legislature & founded Tiffin. The Hedges were buried with relatives in Greenlawn Cemetery on E County Rd 36 (Cr36) in Tiffin. Some residents of Hedgetown were buried in Bunker Hill Cemetery on the south side of E County Rd 44 (Cr44) west of N Township Rd 169. Description: It had a grocery store, church, & the school. Description: Jackson Station was on the Fremont & Lima Railroad. The former railroad path can be seen on satellite maps. Description: It was listed in the 1843 A Table Of Post-Offices In Ohio, Arranged By Counties, Townships, And Towns as being 15 miles from the county seat. Description: This small farming, railroad, & postal town sat at the crossing of the Pennsylvania Railroad & Nickel Plate Road. It had a train station that served both tracks. Description: It was platted in 1832 & disappeared in the late 1830s. Description: Mohawk Tribe members John Van Metre (Van Meter), his wife Susan (Brandt) Van Metre & her brothers Chief Thomas Brandt, Isaac Brandt, & Paulus Brandt were awarded 1,000 acres for a reservation called the Van Metre Reserve in an 1817 treaty. John had been taken captive by Wyandots in West Virginia in 1778, later transferred to the Mohawks, & married Susan in a tribal ceremony. 25 Mohawk families lived on the reserve & John was buried there when he passed away in the mid 1820s. The reserve was sold in 1828 & what was left of the tribe moved west across the Mississippi River in 1829. These days a lake, golf course, & some businesses in the area still bear the Mohawk name. Description: Palo Alto was a small farming town with a blacksmith shop in the southeast corner of the intersection. Description: The town proprietors were Isaac Raney (1841 – 1897 & Susanna (Fox) Raney (1840 – 1914) who were both born in Seneca County. They owned a farm along the Mansfiled, Coldwater, & Lake Michigan Railroad & the B & O Railroad which ran parallel to each other through the area. Isaac & Susanna were buried in Loudon Township Cemetery on the south side of SR 18 in Fostoria. Description: The town founders were the Lafontaine family & few others who arrived in the area from France in the 1840s. Farming was the main industry & a Catholic congregation formed in 1855 which was half German in the early days & more French as time went on. The impressive church structure was built in 1856. Description: The town was founded by Grafton Shedenhelm ( 1813 – 1882) from Maryland & Mary (Shaul or Schall) Shedenhelm (1817 – 1849) from Virginia. They had 8 children & a 240 acre farm with a steam saw mill along the Big Four Railroad. After Mary passed away, Grafton married one of Mary’s sisters or cousins, Catharine (Shaul or Schall) Shedenhelm (1825 – 1880) & had another 7 children. They were buried with relatives in Bunker Hill Cemetery. Description: It was platted in 1852 by Henry Steiner (Stoner) (1781 – 1857) who owned over 300 acres along the Sandusky, Dayton, & Cincinnati Railroad & stretching south across the current Seneca County Fairgrounds. Henry was buried with relatives in Fairmont (Stoner) Cemetery on the south side of Tyber Rd in Tiffin. Description: Thomsontown had a school, church, & town hall in the mid to late 1800s. Description: It was founded by Enoch Trumbo (1804 – 1894) from Pennsylvania & Elanor (Robertson) Trumbo (1812 – 1873) who had 6 children & a large farm. Enoch was a stone mason, farmer, county commissioner, justice of the peace, & township trustee. The town was along the Fremont & Lima Railroad (later bought by the Lake Erie & Louisville Railroad) but didn’t have a train station. Enoch & Elanor were buried with relatives in Zion Lutheran Cemetery at the intersection of W County Rd 592 (Cr592) & Cr39 south of town.